With mining in the blood and more than 250 Volvo machines in fleet, the Dholu family dominates lignite mines of Gujarat and beyond. For more than three decades, a small community of mining contractors have grown and influenced the Indian mining industry. They have changed the face of Indian mining through sheer hard work, careful planning and the use of Volvo CE machines. Gujarat is home to a community of entrepreneurial spirits and the people there are encouraged from a young age to think about how to run a business and contribute to the growth of their family business to an extent where this business knowledge takes precedence over formal education. When most of India is accustomed to power outages, the success of Gujarat is epitomised by their ability to generate surplus electricity - it is one of the few states in India which is able to export electricity to other states. Lignite is the locally available mineral and, GMDC and GIPCL power this ability. From within the Gujarati community, a family with very humble beginnings grew from farming and irrigation work into one that wields great influence in the Indian mining sector today. Five contractors - Dholu Construction & Projects Ltd, Durga Construction Co, H D Enterprises, Mahalaxmi Infrastructure Pvt Ltd, P C Patel Infra Pvt Ltd û have come from the same village Durgapur in Kutch district of Gujarat and today they dominate the lignite mines of Gujarat and beyond! They operate three quarters of the lignite mines in Gujarat with large fleet of Volvo machines. Together, these contractors have more than a century of experience in mining and combined OB excavation is approximately more than 35 million bank cu m per month. Damjibhai Dholu (Dholu Construction) and Hansrajbhai Dholu (H D Enterprises) started as General Contracts Co in 1991. They parted ways in 1979, when Dholu Construction and HD Enterprises came into effect. ´Back when I had 2,000 labourers and we hauled earth with tractors and donkeys,´ said Damjibhai Dholu, Partner, General Contracts Co.
HD Enterprises had been operating at the Vastan Lignite Mines since 1997. Going on strong at their site is an EC460B commissioned in 2004, it has been operating for more than 45,000 hours and continues to contribute to mine operations. ´The Volvo machines are blue-bloods, if maintained well, then they will continue to work forever,´ says Naranbhai Dholu, Director, HD Enterprises, the approved contractor of the Vastan Lignite Mines. Abjibhai Dholu, Founder of Mahalaxmi Infrastructure Pvt Ltd, says, ´Mining is in our blood.´ Mahalaxmi has been a Volvo customer since 2004, purchasing the EC460B to take their mining operations to a new level. ´We wanted to find a fuel-efficient machine that was reliable and works well.´ They had trials with the EC460B for one year and went on to purchase their first fleet of 15 Volvo machines. Having seen fuel savings of up to 15 per cent, their fleet today is predominantly Volvo. Similarly, P C Patel Infra Pvt Ltd has a fleet made up completely of Volvo machines. The owners Prabhu Dholu and Chhagan Dholu swear by excellent machine performance, after market support by Volvo/dealership to achieve the highest RoI in its class against all competing machines. Today, the combined fleet size of all five contractors is more than 250 Volvo machines. All these five companies underline their need for a strong maintenance program to keep their fleet running strong. Their mastery over the Volvo machines is evident through daily 20 hours of working. 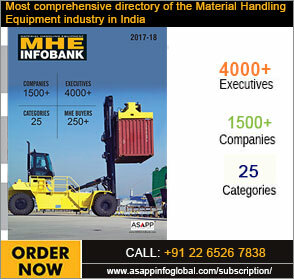 Each contractor also features an excellent spare parts inventory management system that is intricately managed together with strong support from Volvo dealership to achieve maximum uptime for their machines. These mining masters from Gujarat have melded shrewd business acumen, inventiveness and an acute familiarity with their Volvo machines. This is the experience and knowledge that will be hard to learn from school and it is the result of a lifetime of working in the mines. It is this proficiency of their craft that will continue to bring success to their families for generations to come. Mining being in the blood of the Dholu family, the second generation is now handling sites independently, and surely would take the family business to greater heights.